The sale will see price cuts on smartphones from OnePlus, Honor, Xiaomi, Realme, Samsung, Apple and 10.or. Consumers can also avail up to Rs 30,000 off on laptops, up to 60% discounts on external hard drives. Price cuts of up to Rs 35,000 on refrigerators would be available during the sale while TVs will receive maximum discounts of Rs 40,000 on certain models. Air conditioners will receive up to Rs 25,000 off. 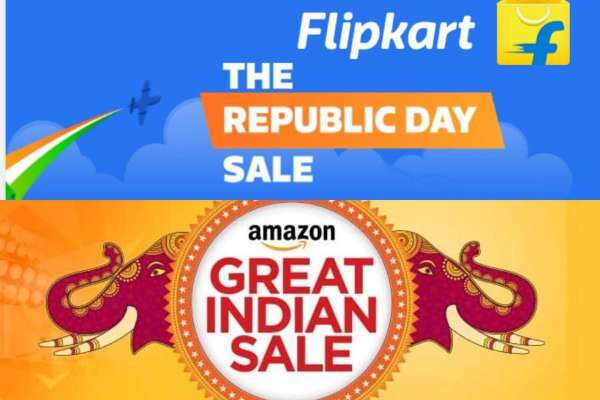 Meanwhile, Amazon’s rival e-commerce website Flipkart will also host the Flipkart Republic Days sale between 20 January and 22 January. Flipkart will be selling both affordable and flagship smartphones with massive discounts and will also be offering up to 70% buyback value and mobile protection for only Rs 70. Just like Amazon, Flipkart Plus members will get early access to the sale on 19 January.